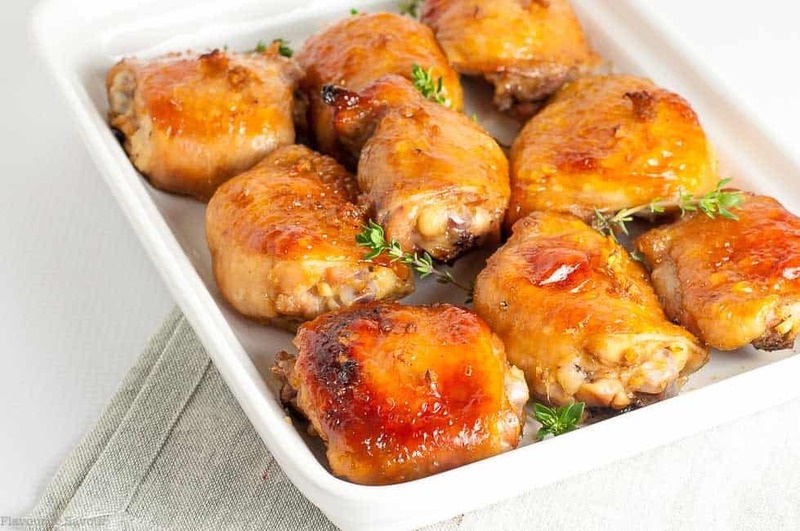 Here are 3 easy chicken meals to marinate, freeze and bake for busy days. Using a FoodSaver® Vacuum Sealing System makes this an easy task and keeps your food fresh for months! Disclosure: I was provided a complimentary FoodSaver® FM5400 Vacuum Sealing System to use in my kitchen and to review. I was not otherwise compensated. All opinions in this FoodSaver® review are my own. 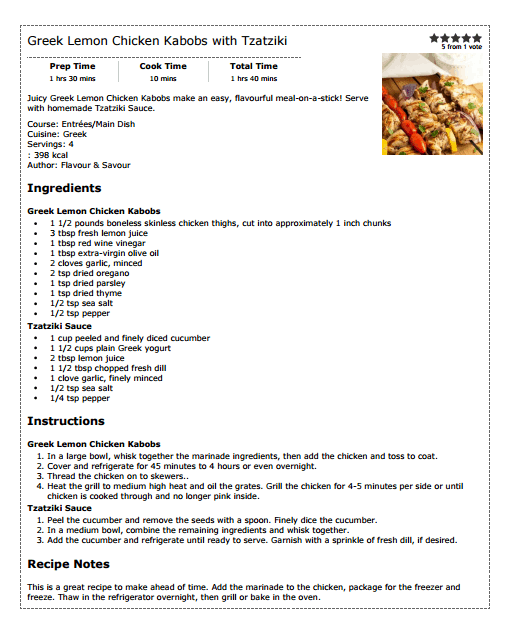 Do you ever wish you were always well-prepared with healthy ready-to-bake meals just waiting for you in your freezer? I love being able to grab a freezer-packed meal on nights when I’ve been too busy to cook. 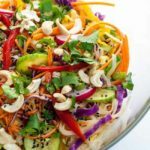 In an earlier post, I wrote about fun ways to use a FoodSaver® Vacuum Sealer. I mentioned then that another way I planned to use my vacuum sealer was to marinate chicken dishes. 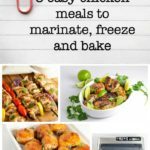 When I was recently offered the newest model of the FoodSaver® Vacuum Sealing system to review, the first thing I did was choose 3 easy chicken meals to marinate, freeze and bake. Why should you marinate meat before freezing? It’s convenient. Grab a bag from the freezer, let it thaw overnight, then bake or grill. 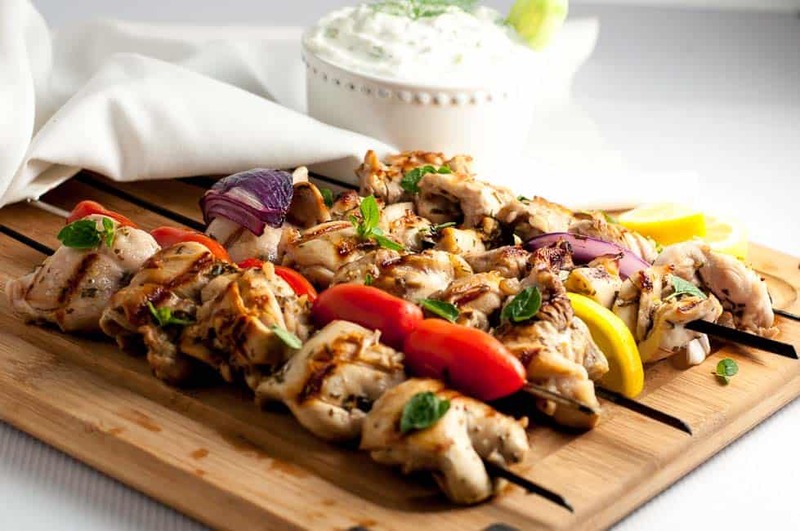 Freezing meat in a marinade helps it absorb flavour. 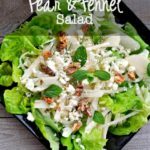 This method produces super tasty meals! 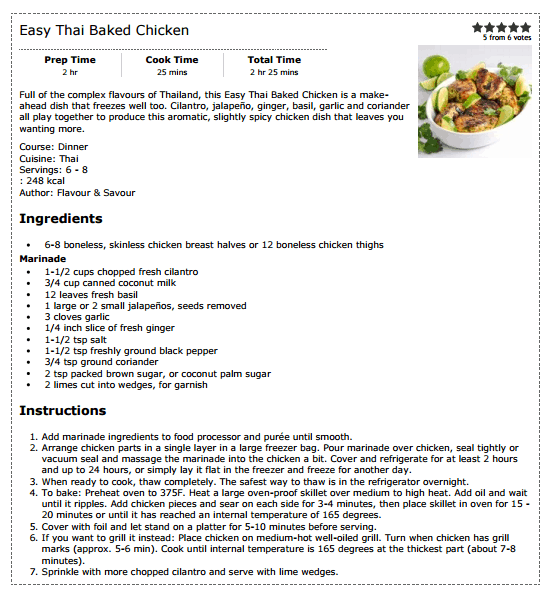 The flavour infuses the chicken while it is freezing, stops while frozen, but then continues while thawing and cooking. The new FoodSaver® FM5400 Food Preservation System has a feature that I found particularly helpful. The Vacuum View Window allows you to see where to insert the end of the marinating bag into the drip tray before activating the vacuum and sealing bar. No more guessing that you have it positioned correctly! Another helpful feature: special bags, known as FoodSaver® Liquid Block Vacuum-Seal Bags, come with a built-in absorbent strip that prevents the marinade from seeping out during the vacuum sealing process! No more drippy bags to wipe! I was impressed to see that it stopped the liquid dead in its tracks! 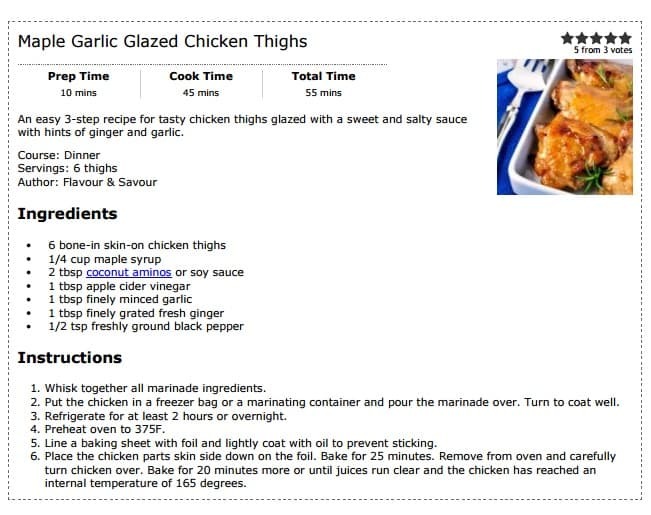 While it is best to start with fresh chicken, you can add these marinades to already frozen chicken as long as you don’t thaw it. 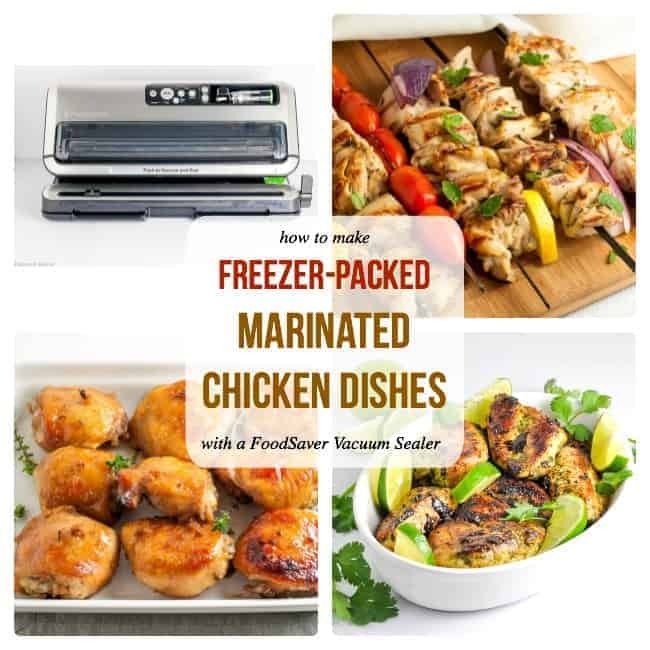 Put the frozen chicken parts in a FoodSaver® Liquid Block Vacuum-Seal Bag, add the marinade, vacuum seal the bag, and refreeze. The chicken pieces will still absorb the flavour later as they thaw and cook. Why not just use zipper-closure bags? Even when I try to remove all the air from a zipper closure bag, it’s impossible to get it all. Air is your enemy when you are trying to keep food fresh. Vacuum packing extends the life of foods by months and even years by removing air from sealed containers or bags, preventing oxidation which affects your food’s nutritional value and flavour. It can also prevent the growth of microorganisms that may spoil your food. And not only that, Denis and I were actually astounded by how much more flavourful these vacuum-sealed marinated chicken dishes were! 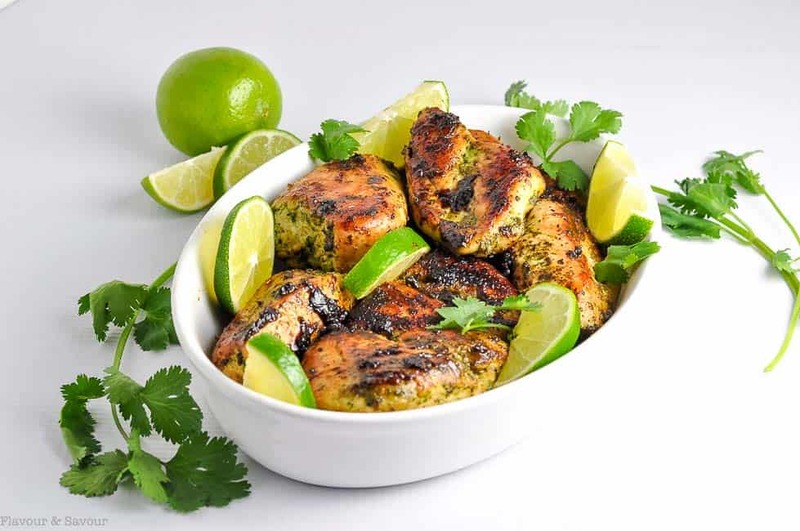 The marinade had permeated the chicken, producing incredible succulent meals. You’ve put in a lot of effort to prepare healthy make-ahead meals, so why not preserve that freshness and flavour by packaging your meals properly to extend their freezer life? 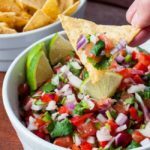 I know it’s easy to use bottled sauces, but if you’re like me and striving to avoid additives and “eat clean”, why not make your own marinades? 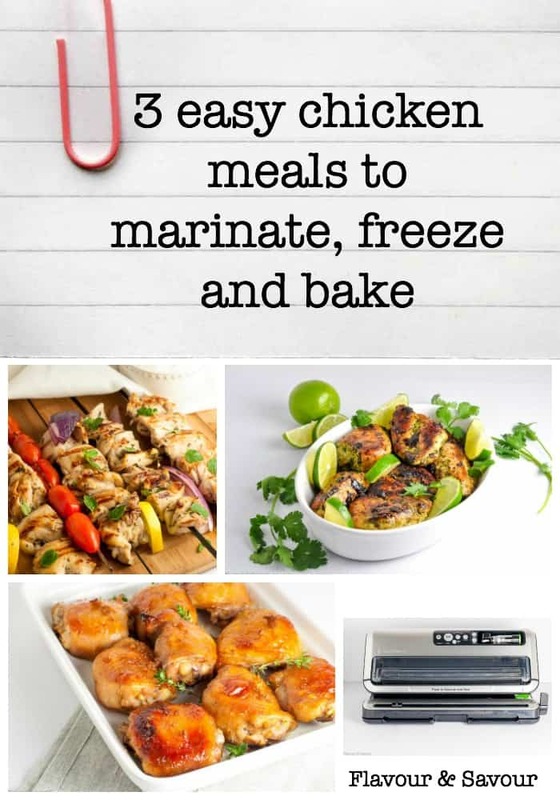 I chose three of the most popular easy one-pan chicken dishes from Flavour and Savour to show how simple it can be to prepare and freeze healthy, homemade dinners for your family. 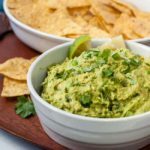 I’ve copied the recipes below, but you can find the original posts with complete descriptions by clicking on the photos.